As many of you know, the National Automotive Dealers Association (NADA) is holding their annual conference in New Orleans, Louisiana this year. The conference is always the automotive industry event of the year, and if you are attending or have looked at the line-up of guest speakers and session topics, you’ll know 2014 is not disappointing. With attendance topping 21,000 dealers from around the world, this year’s convention is featuring hundreds of exhibitors showcasing their latest equipment, services, and technology. The conference has also offered an additional treat this year, as dealers have been given the rare chance to meet face-to-face with executives from several major auto manufacturers. 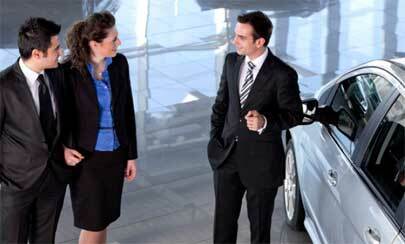 The prevailing need to cut costs and increase sales and service productivity is affecting all dealerships right now. Unified Communications (UC) technology offers a unique way to accomplish both tasks while additionally increasing overall customer satisfaction and Customer Service Index (CSI) scores. One of the top trends at this year’s convention has been improving business processes with technology and software. This theme looks to have trickled down into many of the session discussions. Session topics have covered advanced digital marketing, dealer data protection, customer relationship management, and mobile device integration. All of these sessions have been designed to educate dealers who are not utilizing, or are interested in learning more about these technologies. What attendees might yet find surprising, is that a good Unified Communications and Collaboration solution can actually help solve many of the challenges facing today’s dealers and salesmen. The UC technology in question includes contact centers, IP Telephony, collaboration software, and more. UC can easily shorten your response times to customers, increase your revenues, and lower your operating costs, enabling your dealership to become more efficient and productive with one software application. Sales depend on quick and effective communication. When a prospect or existing customer calls your dealership or walks into your showroom, you want to make the best impression that you can and answer any and all questions the customer may have with ease. and instant messaging that offers a quick way to communicate with colleagues. Your service department is your main revenue driver (no pun intended). The success of your service department depends on having the right information and the right tools at hand to complete a job. If your service department cannot quickly communicate with salesmen on the floor, with other dealerships, or with customers, then one of your businesses biggest assets becomes inefficient and unprofitable. and real-time snapshots of the contact center delivered via dashboards to service managers. 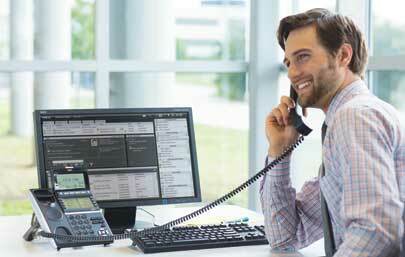 and intuitive, modular-designed telephones that can be tailored to each individual role. To learn more about how Unified Communications, contact center, and mobility can help your dealership increase efficiency, productivity and revenue, visit us at booth number 5246 at the New Orleans Convention Center this weekend. If you can’t make it to the NADA conference, you can read more about NEC’s solutions for the automotive industry here.